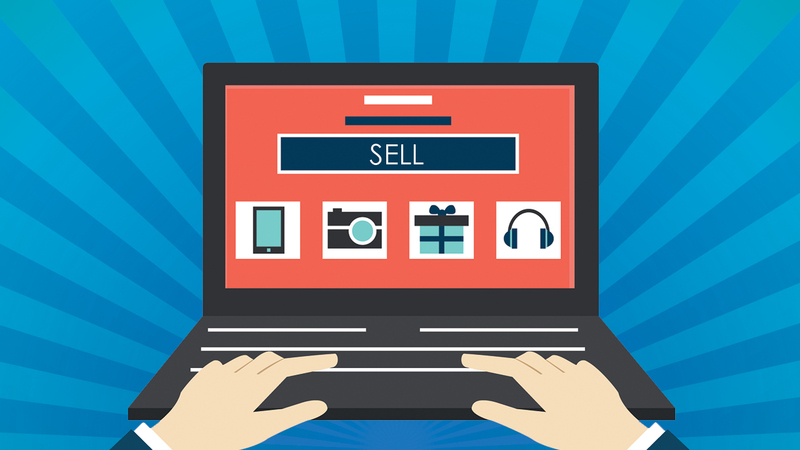 When the time comes to sell your website, it can be hard to determine where to begin. You have put so much time, effort, and money into growing your business, but how do you go about getting maximum value in a sale? What this value is will depend on a variety of factors from revenues and traffic, to market niche and the age of the site. No matter your reasons for selling your website, it is important that you try to do so at the right time. If your business has just started to lose revenue and your numbers are declining, for example, it is probably best to correct these trends before making your exit. While some circumstances are beyond control and may lead to a sudden need to sell, it is generally best to make selling your website a longer term goal. The longer you take to nurture your site and prep it for a sale, the more money you are likely to earn. Try to look at it objectively and view everything through the eyes of a potential buyer. Would you buy your site as it stands today? If the answer is no, you’ve got some work to do! Want to find out how much your online business is worth? CLICK HERE to get a FREE website valuation right now! Before listing your website, consider the following tips for cashing in on your efforts and maximizing your profits at the time of sale. For the greatest possible valuation, you need to ensure your site becomes, or remains, both user friendly and profitable. Buyers will not take a risk on potential alone, and they certainly will not pay top dollar for it. If potential paid the bills, businesses would never fail! Make sure that your potential buyers can see both potential and a sustainable future in your business. Take some time to experiment. Try to boost audience engagement by testing different headlines, content, layouts, colors, and calls to action. A/B test if necessary to find the combination that works best in terms of both click throughs and conversions. Keep things as tidy and clean as possible. Optimize your site’s speed and performance to create a comfortable user experience. The nicer your website, the more money you can earn during a sale. In the past, sellers who have difficult to navigate sites have struggled to connect with buyers. If you website does not inspire visitors to stay and explore, it will definitely not inspire a buyer to investigate you business. A high functioning, high performing, website is a dream come true for any buyer and if they can get a quick return on their investment, you can bet they’ll jump at the chance! Try to sell your site at a time when your revenue is increasing. Potential buyers will look at all the available data and if they see that your profits have been stagnant or declining for the past several months, they may consider your site too much of a risk and run in the opposite direction. If your site’s traffic is coming from a single source, try to diversify. Increase your use of social media, for example. Push people to your site through Instagram or Facebook. Create beautiful and/or useful content that gives people a reason to want to visit your site. High quality blog content, for example, is a great way to improve your SEO and increase social and organic traffic. If you have room in your marketing budget, increase your advertising campaigns so you can benefit from an increase in paid traffic as well. Reaching your sales potential each month shows a buyer that your business has the strength and sustainability to continue to flourish and will increase the likelihood that they recoup their investment quickly. Simply put, eliminate as much financial risk as possible and buyers will feel more comfortable investing in, and carrying on, what you have started. Potential buyers will want to know all the details about your business operations. They will need to know your revenue and income as well as your traffic numbers and sources. They may want to know audience engagement and a handful of other metrics. And unlike your accountant, they will not except that folder of loose receipts. They will not do the work for you! Organize the information so it is easy to find, read, reference and understand. The more details you can compile the better. Include information like the number of staff you currently have on hand as well as legal documents like proof of ownership, tax related documents and any copyright or trademarks you may have in place. A buyer may not want to see all data points but having them readily available makes you look organized and professional, and like many areas in life, making a good impression is half the battle. All too often brokers and people who regularly handle these sorts of transactions are met with underprepared sellers and they will all tell you that disorganized financials will make closing the deal that much more difficult. These numbers will not only show a potential buyer the current state of your business, it can show them how it has performed historically, identifying trends and giving them the big picture they may need to move forward with the sale. Buyers want to know they are getting a good deal, they do not want to have to work to find the upside of your business. To sell your site, sometimes you have to sell your site, and be honest about any hiccups you have faced. No business runs perfectly all the time! Your buyer will have access to the data anyway so there is no point in trying to sell them on unrealistic expectations. For example, maybe the bulk of your revenues are coming from email campaigns and organic Google searches but you have lost a bundle of money trying to run successful Facebook ad campaigns. This does not mean you have a faulty website or product/service, it means you have failed to find a successful marketing strategy on Facebook. It is not an unmitigated disaster! Anyone who says all of their marketing attempts have worked perfectly every time, is full of it. Sometimes it takes a little trial, and lots of errors, to get it right. You have to remember that a buyer may not view these missteps as a negative at all and consider them to be an avenue they can explore themselves to create additional revenue. Sometimes something that you consider to be a failure can be a fruitful opportunity for someone else. You do not necessarily know a buyer’s skill set or what they might have in mind for your site. Be honest and open with your information, you never know what might entice someone to buy your business. Most buyers want a clean sale. They want to purchase your site and start making money from it right away and they need to be able to do this with or without your help. Offering support after the sale can definitely sweeten the deal but if you take time to establish standardized operating procedures, the new owners may not actual need your support at all. Consider the establishment of these procedures as a user guide for your site’s new owners. Include your advertising and marketing strategy, your SEO strategy — including any keyword research you have done, your product and supplier details and anything else someone might need to operate the business. What is your shipping process and what carrier do you use? Have you found that doing things in a certain order each day helps to maximize your productivity? How do you handle customer queries, complaints, and returns? In our experience, sellers who can clearly identify all the working parts of their business, have greater success attracting buyers. Paint them the picture and they will be able to see themselves inside it. Think of someone with zero experience in your industry and give them enough information that they would be able to come in and run your operations in their sleep! There are lots of ways to sell your website and what you decide will depend largely on the size of your business and the strength of your sales. Small businesses that earn less than $20,000 are best sold through classified sites, marketplaces, and forums. In these instances, there is not likely to be extreme amounts of money at play so the transaction can be carried out between you and the buyer without too much complication. Consider reaching out to people in your own business network. You may already have a potential buyer who is familiar with your business and is not afraid to take it on. For medium to large websites, those that are earning from $50,000+ profit annually, using a broker is probably the most effective solutions. Valuations can depend on a variety of things from trailing twelve months worth of revenue and income, to the design of the site to trends in the market. Many online calculators can be unreliable and may fail to account for the factors most important to buyers. Sometimes, you will find a buyer is attracted to your market niche and not your current profits, how can a computer algorithm calculate that variable? In order to protect yourself and make sure you are getting maximum value for your site, it is a good idea to broker the deal through professionals. Professionals have dealt with all manners of websites and can help provide an honest and fair valuation that a buyer is likely to trust. If you overvalue your site, you are not likely to sell your business. If you undervalue it, you are going to leave money on the table. A broker will help hit that sweet spot and ensure everyone walks away happy. If you are interested in receiving a free valuation for your web business, simply visit this page and fill out your information. One of our professional advisers will be in touch shortly after. Selling your website is a big task. Not only are you relinquishing control over something you have nurtured and created, you will have to properly position your site to obtain the maximum amount possible at the time of sale. By paying close attention to the design and function of your site, maximizing your revenues and traffic, keeping your information organized, establishing a standard of operations, and finding the right platform through which to sell, you are putting yourself in a position to succeed. If you put in the time and follow these tips, you will have a strong website that is attractive to potential buyers, mitigates their risk, and puts you in a position of bargaining power.